The 5 Essentials of Conducting International Business | Be "Noticed"
The 5 Essentials of Conducting International Business. The way business and communication are done vary greatly by nation. Understanding how people in some countries have different ways of doing business and how to create an advantage from those differences can pave the way to success. For example, South Korean business representatives won’t outright reject an idea they do not support. Instead, they will seem to acquiesce when they oppose a particular business idea. In France, when you are trying to sell a product, it is rude to expect them to make a decision during your first meeting. Taking the time to develop business relationships and understanding how business is done avoids misunderstandings that can potentially wreck your endeavors. In general, it is best to avoid any attempts at humor when doing business on the international level. What people in one nation find funny likely would be confusing and possibly even offensive to people in another nation, so the smart businessperson avoids any attempts at humor, particularly when dealing with more than one person. This is especially true when it comes to sarcasm. When people are using a second language to communicate, it is nearly impossible to pick up on sarcasm, with most people just finding it offensive and rude. Now, this does not mean that you have to be straight faced the entire time, but just be careful and polite. Marketing requires different approaches in other nations. Using the kinds of appeals that succeed in the United States will wind up backfiring in many other nations and could result in total failure. Comparative advertising, for example, is frowned upon in Japan and can actually be illegal in some cases. Instead, demonstrating the merits of a good or service is a much better marketing approach. If you do plan on launching a marketing campaign in a different country, it is important that you outsource this work to a local marketing company in this country, since they will be familiar with the customs and norms. One of the best ways to succeed overseas is to have established local partners who can help navigate the legal, cultural, and economic hurdles every business faces on the international level. A good local partner in another nation can make business transitions go much more smoothly, while helping to avoid costly mistakes. There are plenty of different firms that will be able to handle all of the aspects of conducting business in a specific country, but you might want to consider outsourcing your work to smaller firms and businesses that specialize in the different aspects of running a business. While this will take a bit more work, it will give you the greatest chance of success. 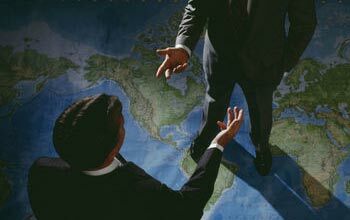 Conducting international business doesn’t necessarily mean costly business trips abroad each year. Instead, having a platform capable of reaching across borders and connecting with business partners in real time is easier with Project Audio Visual video conferencing. Video conference technology helps personalize business meetings, while greatly reducing the time it might take to make business deals. While free video technologies such as Skype and Facetime are useful and cost efficient, the quality and features do not even begin to approach what you can expect from a professional system. Done properly, the odds of a business succeeding on the international level are much greater when avoiding the pitfalls that snare many otherwise successful businesses on the international level.